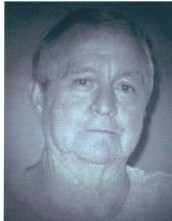 Curtis Williams, Sr., age 76 of Hamlet passed away Sunday, January 27, 2019. Curtis was born September 20, 1942 in Marlboro County, South Carolina, a son of the late Grady Williams and Bessie Barrington Williams. He was a jack of all trades and a hard working man in his own business where he served the community and the surrounding areas for many years. He attended both Bennettsville Wesleyan Church and Peele’s Chapel Wesleyan Church. He was a former little league baseball and gymnastics coach, an avid NASCAR fan and a collector of sports memorabilia. Curtis was always joking, having fun, and always loved helping others in times of need. Along with his parents, he is preceded in death by his siblings, John Daniel Williams and Rosa Mae Paul. Curtis leaves behind his sons, Curtis Williams, Jr. (Michele) of York, SC, Keith Williams (Shirley) of Bennettsville, SC; daughters, Missy Pammel (Duck) of Bennettsville, SC Brianna Williams of Hamlet; step-son, Chris Jones of South Dakota; brother, Rev. J. W. Williams (Juanita) of Laurel Hill, NC; the love of his life, Phyllis Williams; grandchildren, Ilissa Williams, Fallon Pammel, Curtis Robert Williams, Tyler Williams, Mikayla Pammel, Jamison Pammel, Alana Pammel, Cade Williams, Trevor Miles, PressleyAnne Wells (daughter of Michele); great grandchildren, Harper Williams, Carter Williams, Hazel Pammel, Auden Benjamin; his many nieces, nephews and close friend Peggy Baldwin and family. A graveside memorial service will be at Noon on Wednesday, January 30, 2019 at McLucas Cemetery in Clio, SC, officiated by Rev. J. W. Williams. In lieu of flowers, memorial donations are requested to be given to McLucas Cemetery, c/o LH Calhoun Jr., P.O. Box 696, Clio, SC 29525.